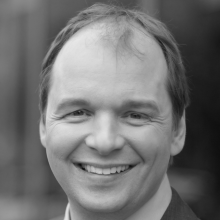 Christian Milaster is the founder and president of Ingenium Healthcare Consulting. Ingenium’s advisors partner with healthcare leaders to incorporate strategic approaches to incorporating digital health into their organizations. Ingenium’s team works with clinical, technical, and administrative staff to design and implement unique solutions that ultimately improve the delivery of care. In working with his clients, Christian draws on over 25 years of professional experience, including 15 years in IT with employers like IBM Global Services and 15 years in healthcare with employers including the Mayo Clinic. A German engineer by training, Christian was born, raised, and educated in Hamburg Germany before spending 17 years in the US, where he founded Ingenium in 2012. In 2015 Christian shifted his focus to Europe, where he’s applying what he’s seen working in the US to the European healthcare systems. Christian is effective in front of a Board of Directors, respected by physicians, friendly with the care staff, and ready to shoot the breeze in the IT server room. He’s a futurist, a strategist, a project manager and passionate about quality improvement. His mantra: “What’s the simplest thing that could possibly work? Let’s start with that!” Contact Christian for an answer to that question that applies to you and your organization.